Here be Cap'n Iron Muskles, Cap'n of a fearsome group of pirates that raid the seas of planet soung. his Buglow brightens any dark night voyage when need be. 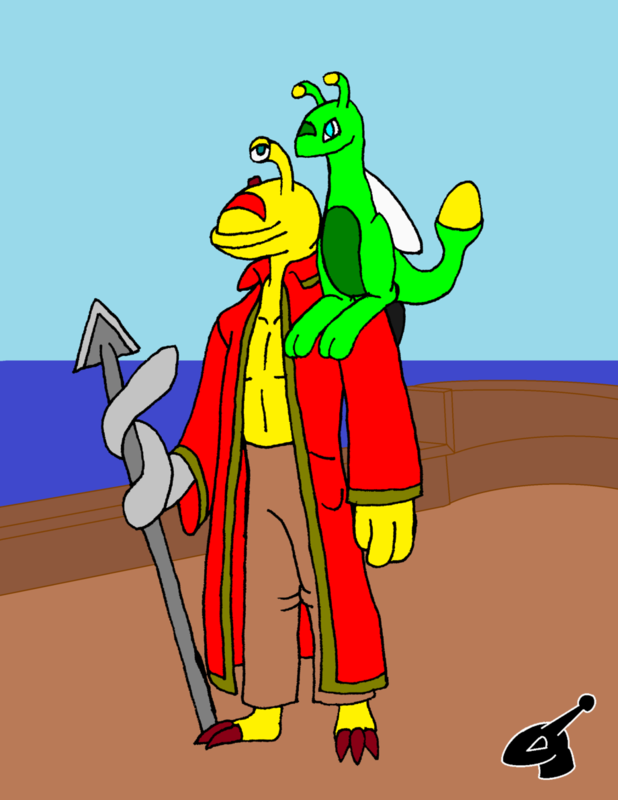 I thought it would be cool to draw Iron Will as a pirate with a buglow on his shoulder ^w^ enjoy!